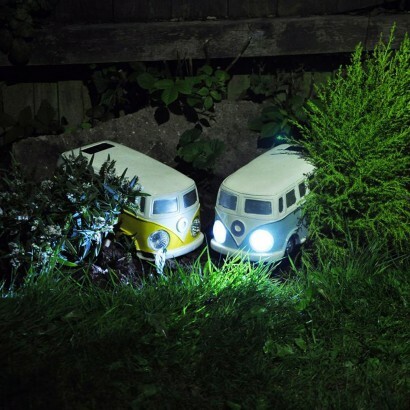 Give your garden a funky retro feel with a super cool solar campervan! 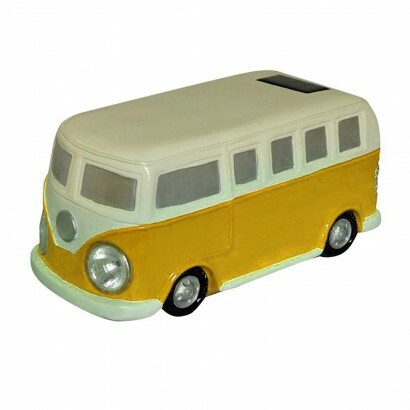 Available in red, yellow or blue, this iconic campervan has LED headlights that illuminate night after night giving cool retro vibe to your borders, table tops and pathways. 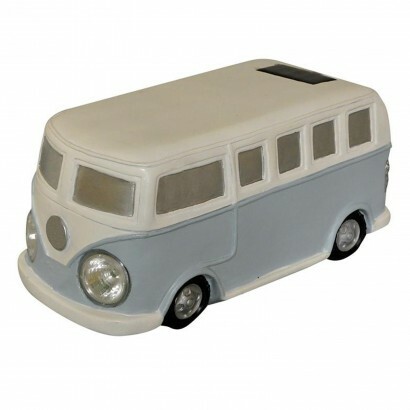 Solar powered, there's no need for wiring, simply place in your garden and this funky little light with sense darkness to automatically switch on at night.